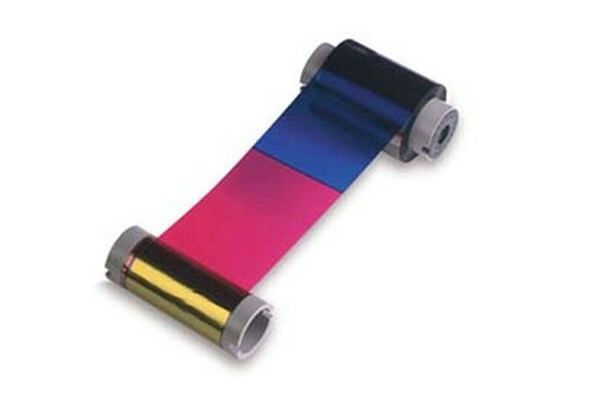 The Fargo 45200 YMCKO Color Ribbon consists of yellow (Y), magenta (M) and cyan (C) color panels for full spectrum printing using varying degrees of heat. The Black (K) panel are used for printing on the front side of the card. The Overlay (O) panel is a protective overlay which increases the durability of the card. Fargo 45000 ribbons are back-coated to extend printhead life.